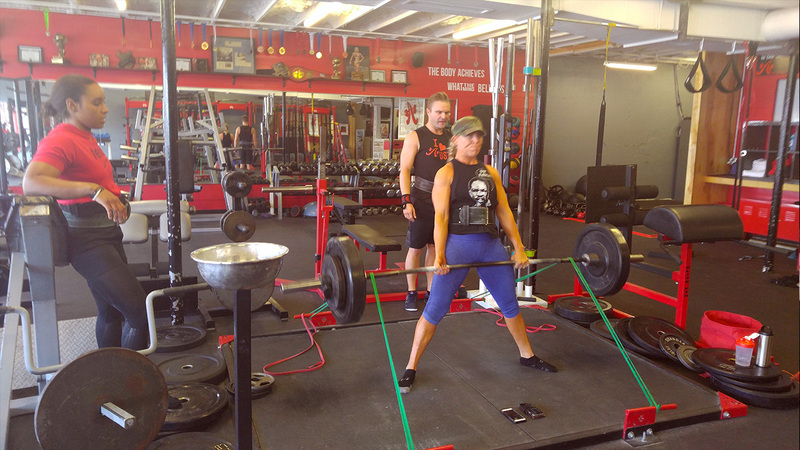 I was ecstatic when Austin Simply Fit began offering powerlifting classes. I’ve been competing in powerlifting since 2009. During that time I have gained almost 100 lbs. of lean bodyweight, taken my best squat from 402 to 804, best bench from 260 to 500 and best deadlift from 450 to 675. I’ve learned a lot and most importantly I’ve learned to love the process. Coaching powerlifting classes gives me a chance to teach you skills I’m passionate about and coach you like an athlete. Powerlifting classes are, in short, the real deal. You train in a small group setting with a dedicated group at regular times to make certain you get the logistical support and motivation you need. They are a perfect option for a person who is committed to improving their strength and fitness and loves the feeling of lifting heavy weights, getting stronger and making quantifiable progress. – 1-3 committed, reliable training partners to help motivate and support you. – Hour-long sessions that challenge you with strenuous exercises appropriate for your fitness level. These will make you stronger and address your technical, physical and psychological weak points. – Expert technical coaching from competitive athletes with proven records of success in competition. – A logical, scientifically-designed exercise program designed to improve your strength and enable you to perform your best on the day of competition. – To be treated as an athlete. – Your primary fitness goal is to get STRONG AS HELL. – You are truly interested in improving your strength and performance and helping your teammates do the same. – You compete or have a desire to compete in powerlifting or another strength sport. – You want to train for 60-90 minutes 3 times a week. – You are enthusiastic and desire to learn. The powerlifting classes at Austin Simply Fit take an individual sport and turn it into a team sport. You train with 3 to 4 individuals, 3 to 4 times a week and you become a committed part of a team. Each session is normally around an hour to an hour and a half and pushes your fitness limits (always in a good way). Training with the same trainer and group members each week promotes a cohesive group. My trainer knows what my strengths and weaknesses are; he knows how to tailor workouts for maximum effect. Trainers are not only dedicated to you as a client while you’re in the gym, they often put numerous hours in tracking progress and PR’s, making sure I succeed through the training process. Although the goal of training and of your trainer is to increase the individual’s strength, help them achieve fitness goals, and get big PRs, you also become invested in the success of the members of your group. The atmosphere at ASF promotes success and community. Each trainer and individual in the gym wants to see you succeed and pushes you to achieve your goals. As an individual, I started training with the goal to increase my strength, but what keeps me coming back is so much more. My trainer and all the members of my group are dedicated to my success, pushing me to achieve my best. We share in each other’s successes and push one another to try again after a failed lift/attempt. Each workout is different and the variation keeps things interesting.